The Sky Betting Group has posted their financial performance for 2017 and things are looking great. Despite the regulatory challenges being faced in the UK gaming market at the moment, Sky Group has managed to post sterling financial results. Revenues are up 38% thanks to clever investments and strategic planning. Now however the group fears potential new tax hikes which the group says will stifle growth domestically. Chief executive at Sky, Richard Flint said that the great performance of the company this year could create an additional 200 tech jobs in Yorkshire where the company is based and already employs 1300 people. The company now fears that with the looming new budget for the government, there will be an increase in the 15c Point of Consumption tax. This measure was implemented to prevent companies from moving their operations offshore to avoid UK taxes. The PoC tax states that the company is taxed 15c as soon as a customer incurs expenditure with the group anywhere in the world. An increase in this tax, implemented in 2014, could hurt the growth of the group, according to Flint. While the government has not hinted or suggested this tax will increase, it seems quite likely that it may occur given the current mood of the government. Following a recent industry review, the government looks set to implement many changes to the industry. Overall group revenue increased to £516 million. 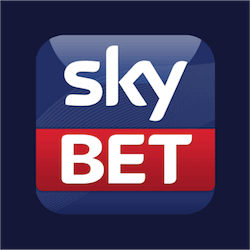 Sky Bet revenue increased 46%, this is the sports betting division of the company which has seen good growth as more customers sign on. As regulations tighten in the UK more and more operators are seeing consolidation of customers who switch to bigger chains who are perceived as more reliable and trustworthy. Sky Gaming revenue only went up by 27%, which is still a massive increase relative to the market. This growth was helped along by new developer acquisitions providing solid new gaming content. Sky Group also saw a jump in total customers of 31%. This figure also incorporates the customers of new acquisitions and across the entire group, which is also still very positive relative to the market. Workforce expansion also saw a massive 40% jump again thanks to new acquisitions but also due to natural growth the group, which is a very good sign for investors who want to see not just growth but job creation and stability.